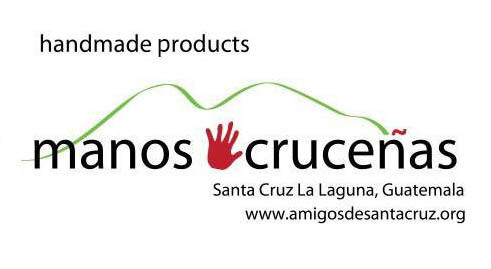 Manos Cruceñas Artisan Store is a social enterprise of Amigos de Santa Cruz Foundation, a 501(c)3 nonprofit organization, and the CECAP vocational center of Santa Cruz la Laguna, Guatemala. We provide employment opportunities to over 70 indigenous Maya artisans of the greater Santa Cruz la Laguna area who have been trained in our center. Our artisan graduates are hired at a fair wage to make products for our store and for our wholesale clients. Our artisans also receive non-economic support such as nutrition classes, women’s empowerment workshops and clean water filters to help to improve their quality of life in the home. Meaningful work at a meaningful wage. 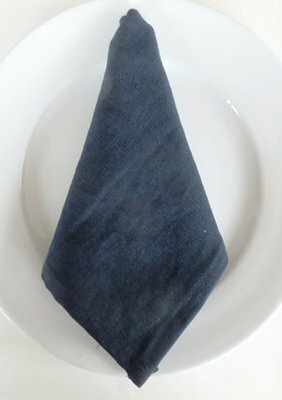 Our table napkins are certain to be used everyday! 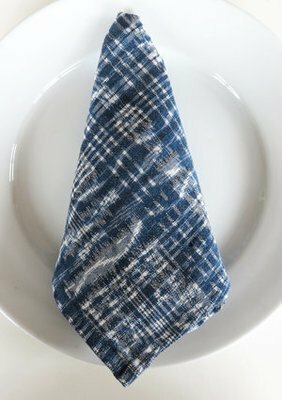 Sewn from upcycled jaspe* fabric or solid blue navy fabric, they are soft and washable. Set of 6, 14" x 14"
Manos Cruceñas Artisan Store opened in 2012 as a micro store selling products made by students at the CECAP vocational school, a program of Amigos de Santa Cruz Foundation. As students learned skills and graduated from the programs, we realized that we had a unique opportunity to provide employment to our graduates. Manos Cruceñas began designing products and contracting with our artisan graduates to make them. In 2013 we moved to a larger and more visible space in the CECAP building which allowed us to better showcase our products. We also were able to expand into working with wholesale clients. In 2016 we moved into the beautiful space we now have at CECAP. Our sales increased dramatically with each move! Now in 2017 we are excited to open our Online Store! Manos Cruceñas continues to grow adding more and better products every year. As a result our artisan graduates have benefited from increased economic opportunities that they would not have had otherwise. 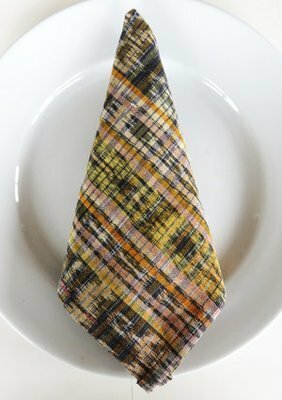 Brittany Maria: "The Manos Cruceñas Artisan Store is a wonderful place to do some local shopping in Santa Cruz while supporting the women in the community! You can find beautiful and high-quality local products that are handmade by women in and around Santa Cruz. 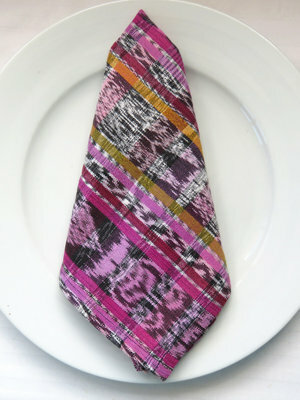 The store sells gorgeous scarves, bags, purses, aprons, jewelry and beaded items. It felt very satisfying for me to help support the local women in this small and secluded community. This store accepts credit cards as well. If you are traveling to Santa Cruz, definitely make sure to stop here!" Jeanne M: As an Airbnb host in Santa Cruz, I have had the pleasure of sending many visitors to the Manos Cruceñas Artisan Store. They always come back delighted with their purchases and frequently tell me that choosing amongst the unique and beautifully made products was so hard that they decided to buy several. It is a favorite shopping destination for all of my guests, not least because of the impact their purchases make in the lives of women, many of whom had not previously earned an income of their own. 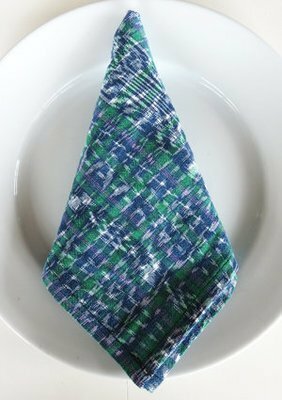 Jenn K.: "The Manos Cruceñas Artisan Store offers beautifully hand made textiles, scarves, coasters, table runners, aprons, wallets and bags, as well as jewelry and other beaded items. All purchases directly benefit the local community and this really special program that aims at empowering the youth, and especially the girls." Manos Cruceñas Artisan Store is located in the CECAP vocational training center in the village center of Santa Cruz la Laguna, Guatemala. In addition to the retail store, our products are now available online and we produce products for our wholesale clients world-wide.